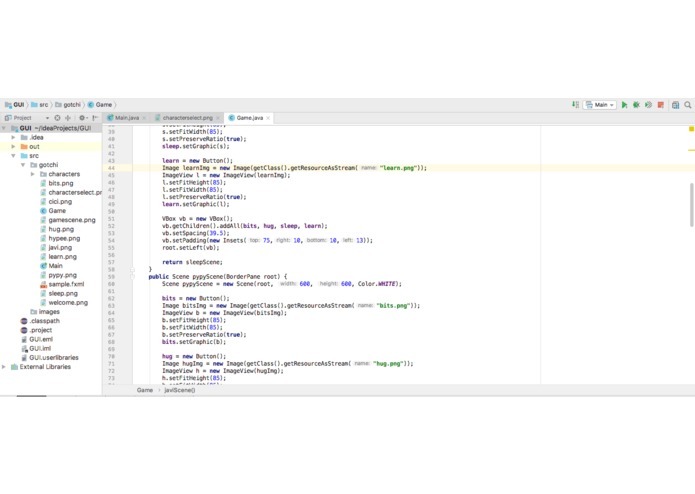 We wanted to make a game that can encourage everyone to learn code. 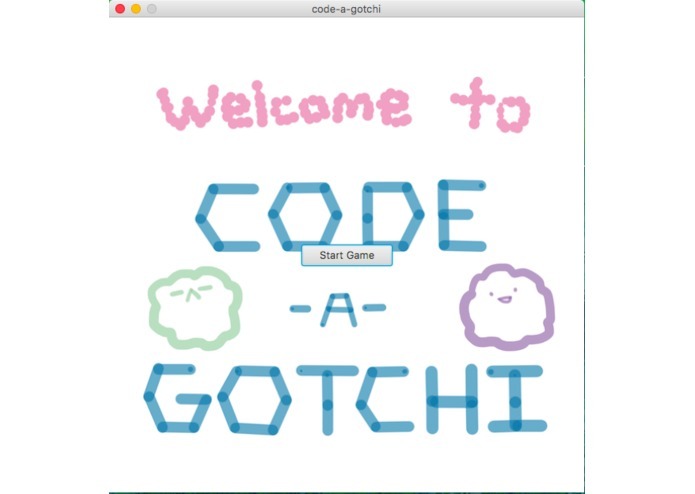 Based on our childhood memories with tamagotchi, we were inspired to make a game where you can raise your own language blob through coding. That's why we have four popular language blobs that you can raise! 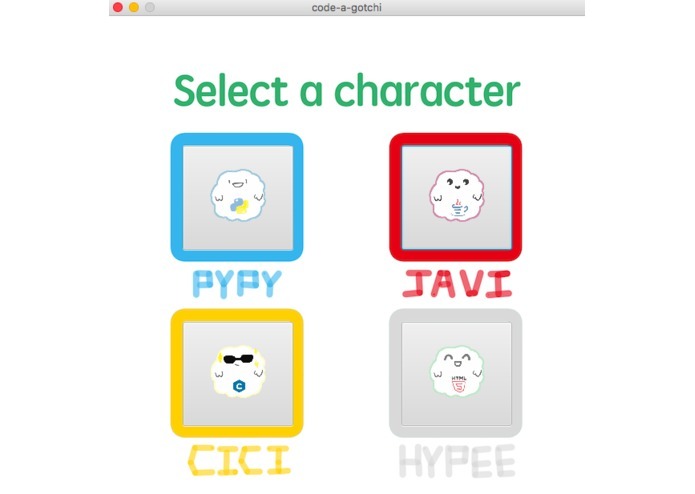 Pypy (Python), Javi (Java), Cici (C), and Hypee (HTML). You raise a programming language blob. 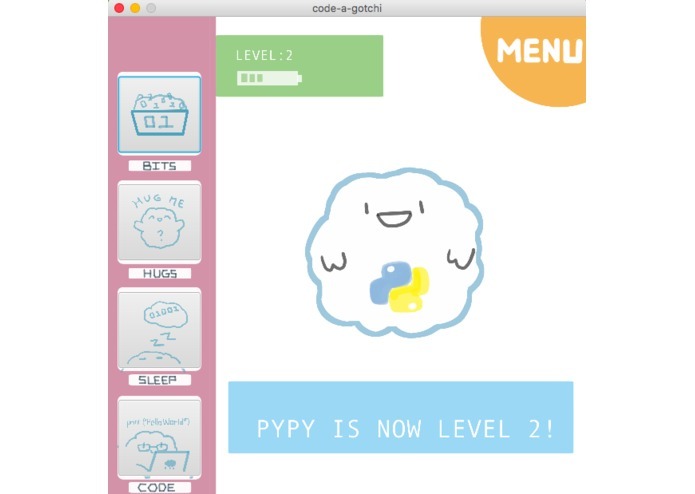 Feed it some bits, give some cuddly hugs, and code in a language to level it up! 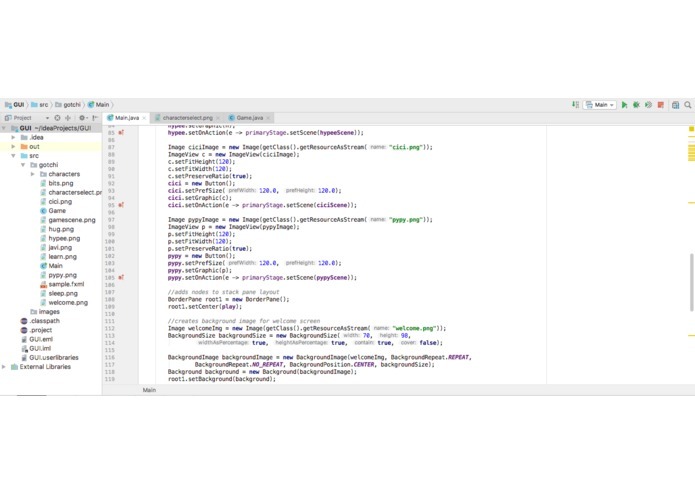 Java (Javafx) was used to create the game frame. Clip Studio Paint was the design lab where all the blobs became colorful 2D language blobs. Since we are only a duo, one person had to code and one had to design. Also, we struggled to align buttons and boxes very badly at 12 a.m. and GitHub doesn't want to cooperate with us. Swing is awful. 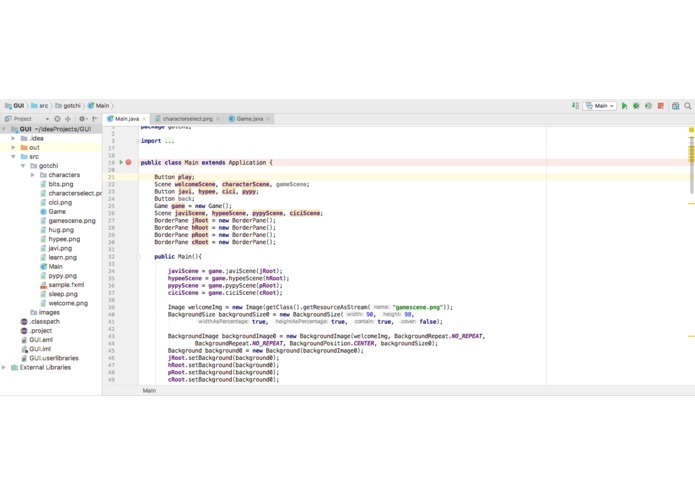 Use Javafx.